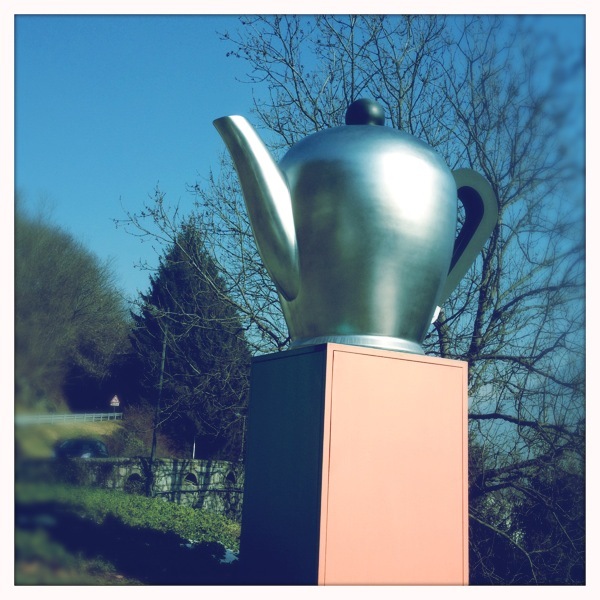 You can see that you’re approaching the outlet by the oversized sculptures of random kitchen appliances that you can find on the side of the roads. 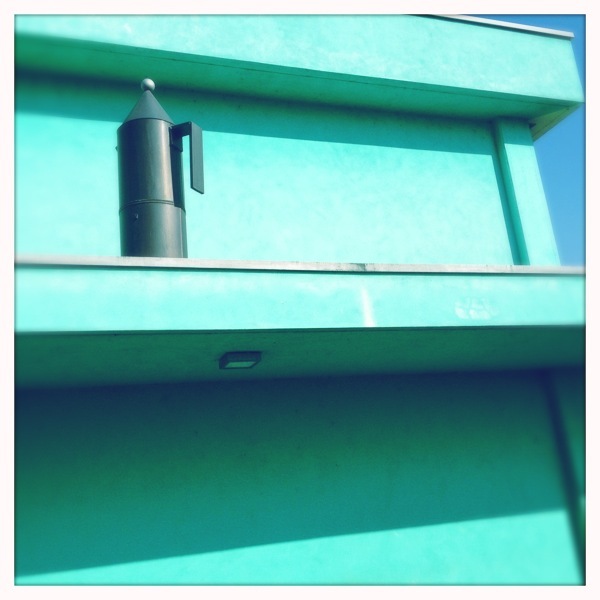 Look…a 6 foot coffee pot just hanging out on a building ledge. 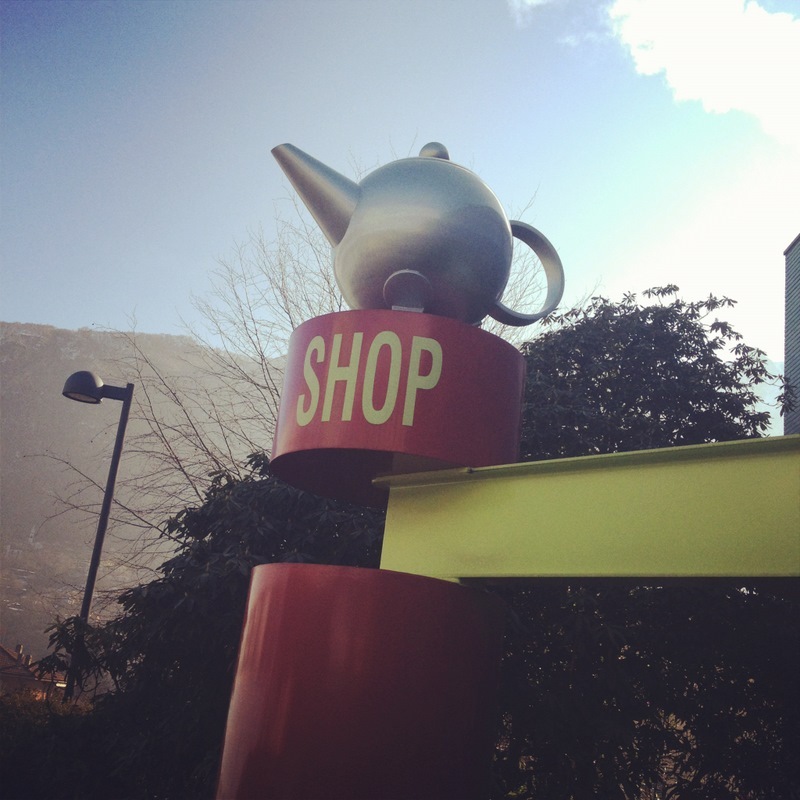 And a maxi-sized teapot at the factory entrance. 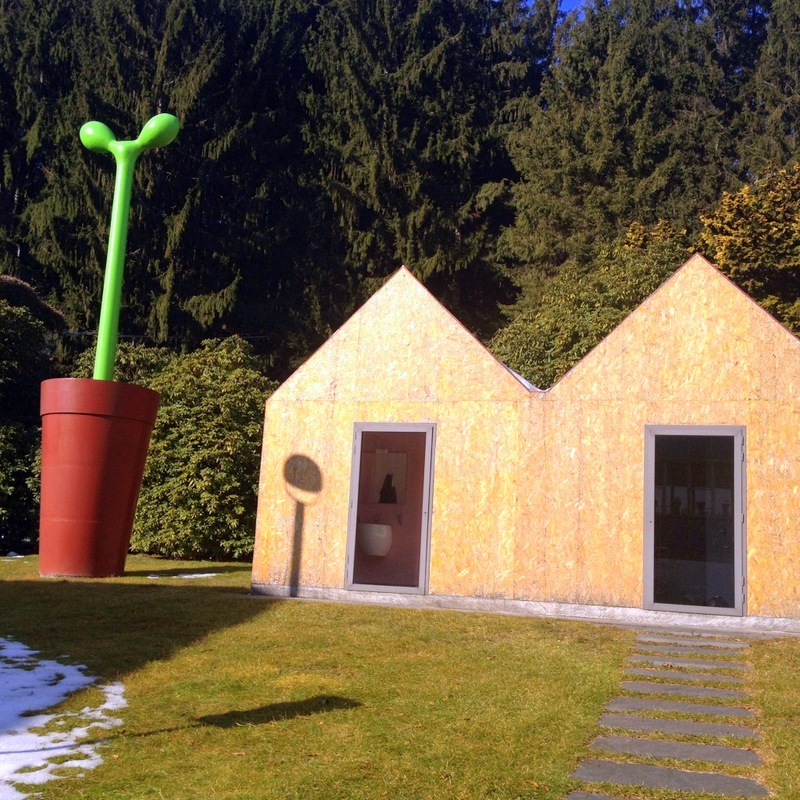 And I’m pretty sure this an over-sized version of the Alessi toilet plunger. But I could be wrong. I don’t drink coffee either. Another reason why the locals look at me with bewilderment. I won’t even talk about the fact I don’t drink wine…they can’t even fathom that! Now that’s a big plunger. Seems like a cool trip! I must get myself to Italy one day. Come on over! You have yourself a personal tour guide if you do….